In early 2012, myself and my childhood friend and trusted business partner Dominic, had the idea to start our own legal firm. We’d both worked for years at large corporate legal firms and felt something missing. While we did good work, we felt that a personal connection with our clients just wasn’t there. Many times the companies we worked for were obsessed with billing and driving sales, often at the expense of our clients. We thought there had to be a better way. 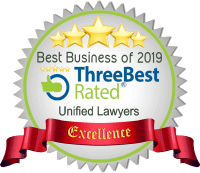 A law firm that was not only financially successful but one that could simplify the legal jargon, one that obsessed about our client’s success and one that built win-win relationships for the long term. A law firm that Unified the law, business and relationships for the betterment of everyone we worked with.Many of our ex-coworkers and managers were dumbfounded. How could we leave high paying jobs to start a local law firm with no established customers, no connections and no prospects? Did we really think that one local law firm could make a real difference? The law is complicated they said. That’s how it always will be. Take care of your billings first, otherwise you’ll close shop they advised us. It took us many years of thinking, planning, obsessing to finally take the plunge and launch our own firm.One of our earliest clients was a family run telecommunications business. They were being treated unfairly and harshly by their franchisor and had unsuccessfully been able to seek legal representation that could make a difference. When they first approached us, they were frustrated, overwhelmed and unsure what the future of their business would be. Their business was suffering as was their personal and family lives. We worked tirelessly to fight for their legal rights, successfully freeing them from the grip of their franchisor. We had succeeded where others had failed in “helping the little guy”. That was the moment that we realised that we were onto something special. It was that moment where we realised that we could build a great legal practice by being a customer first firm, not billings first. That we could actually make a difference in the lives and businesses of our clients, our community and our team. Fast forward 4 short years later and we’re one of the fastest growing local legal firms in Sydney. Our third party reviews on Google show 5 star reviews from unsolicited happy clients. 95% of our new business is from word of mouth. At Unified Lawyers, our promise is that we’ll put the success of our clients before our own success every single time. We’re here for the long haul and we hope you’ll work with us soon.